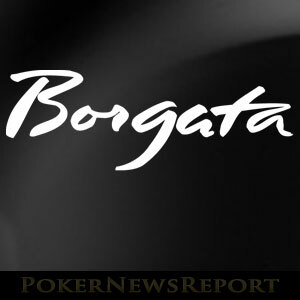 Christian Lusardi Gets Five Years for Borgata "Chipgate"
Last week the “Chipgate” perpetrator was sentenced to five years for trying to fix a public contest and another three years for blocking Harrahs´ plumbing. Christian Lusardi – the poker player who introduced fake chips into the 2014 Borgata Winter Poker Open – won´t be going anywhere close to a casino in the near future. Already serving five years for boot-legging DVDs, Lusardi was hit with further five-year and three-year sentences last Thursday for second-degree trademark counterfeiting and third-degree criminal mischief. Although he will be able to serve the new sentences concurrently with his existing jail time, Judge Bernard E DeLury Jr also slapped Lusardi with a $463,540 fine to compensate the Borgata for the income the casino had lost due to the fraud, and a further $9,455 to compensate Harrahs for the plumbing costs the resort incurred when Lusardi tried to dispose of the fake chips by flushing them down the toilet. Just in case you missed the story the first time around, Christian Lusardi entered the Main Event of the $1 million guaranteed Borgata Winter Poker Open in January 2014 and, during Days 1A and 1B of the tournament, he introduced counterfeit chips into play. Lusardi went into Day 2 of the event with a massive chip lead, but suspicions were already being raised by other players who had “off-color” chips in their stacks. Due to the possibility of being caught, Lusardi attempted to flush more than five hundred fake chips down the toilet of his hotel room at Harrahs, but only succeeded in blocking the pipework and causing a flood in the room below. Lusardi was arrested and charged with rigging a publicly exhibited contest and theft by deception. The $1 million tournament was cancelled with twenty-seven players remaining – each of whom received a cut of the prize pool once refunds were paid to players who had been disadvantaged by Lusardi´s shenanigans. However, an investigation into Lusardi´s private life revealed that he was being sent thousands of counterfeit DVDs from China and the Department of Homeland Security got involved. Lusardi was handed over to prosecutors in North Carolina, who charged him with copyright infringement and trafficking in counterfeit labels. Lusardi pleaded guilty to the charges, and in March this year was sentenced to five years imprisonment plus a further three years of supervised release. He also had to forfeit more than $1.1 million he had made from bootlegging the DVDs and distributing them throughout the US and Canada. ‘While Lusardi’s bungled attempt to dispose of his phony chips was suitable for a Hollywood comedy, the truth is he committed very serious crimes in carrying out his high-stakes counterfeiting scheme. Initial reaction to the sentences on poker forums was mixed; with some contributors saying that he got everything he deserved, while other contributors argued that the sentences were stiff in relation to the injury Lusardi had caused. The general consensus of opinion was that – as Lusardi was already serving a five year sentence – he got off without having to serve any more jail time.